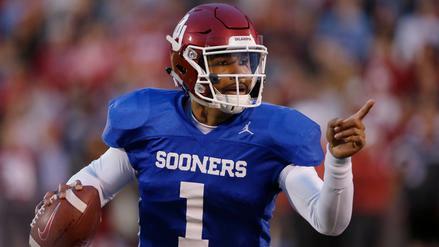 Jalen Hurts takes his championship pedigree to Oklahoma, where he'll head the Sooners' offensive attack. 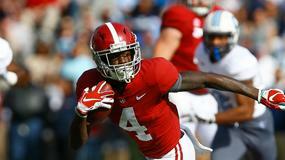 Is he a true contender for this year's Heisman Trophy? 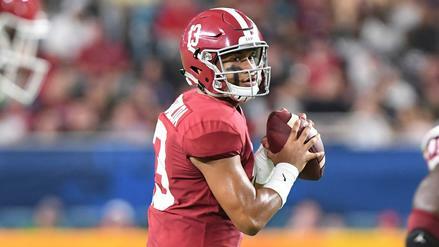 Tua Tagovailoa faces a tough Clemson defense on Monday night. Is he still worth rostering for his giant upside? 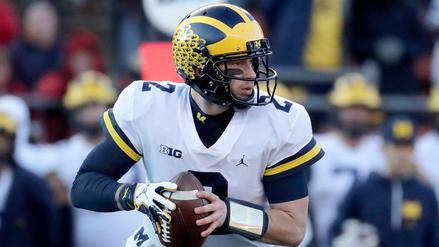 Which betting angles should bettors take advantage of in college football's biggest matchup of the year? 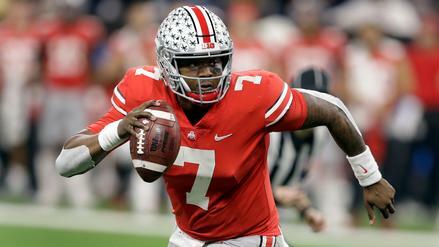 Despite a tough matchup, Dwayne Haskins is the top option on Tuesday's New Year's Day slate. Who else should be targeting, and why? 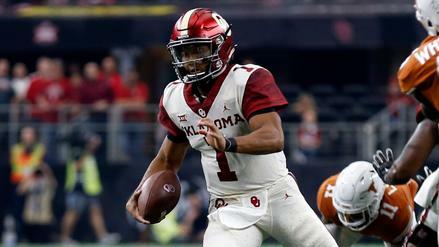 Heisman winner Kyler Murray and the Oklahoma Sooners will likely be playing catch-up in their semifinal showdown against Alabama. Who else should be in your lineups this Saturday? Alabama and Clemson are huge favorites in the semifinals. Should bettors side with them or go with the underdogs? Which teams should bettors target in the non-playoff New Year's Six games? 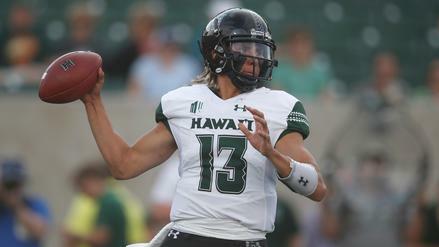 Hawaii's Cole McDonald draws a plus matchup playing on his home turf. 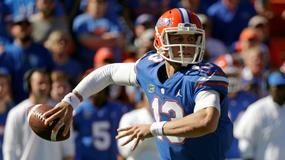 Who else should you target on this Saturday's bowl-game slate? Which of the bowls not included in the New Year's Six present good value for bettors according to our model? 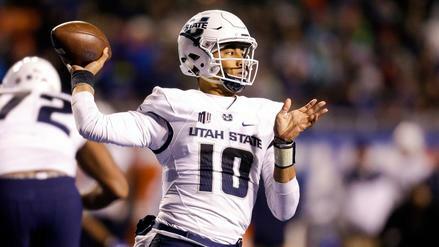 Utah State's Jordan Love heads an Aggies attack sporting the day's highest implied total against North Texas. Who else should you be targeting on bowl season's opening day? 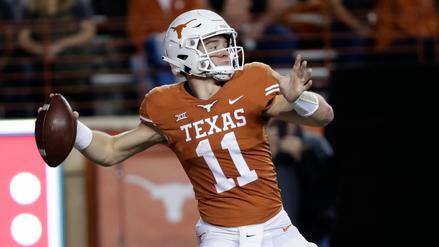 Sam Ehlinger and the Longhorns will be forced to air it out in a rematch of Texas' regular season win over the Oklahoma Sooners. Which conference championship games should bettors target for value this weekend? 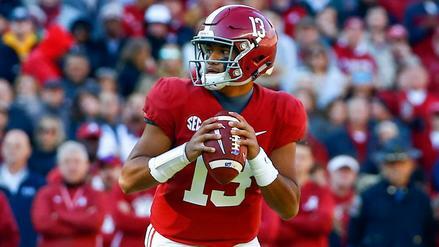 Tua Tagovailoa and Alabama take on Auburn in the annual Iron Bowl. 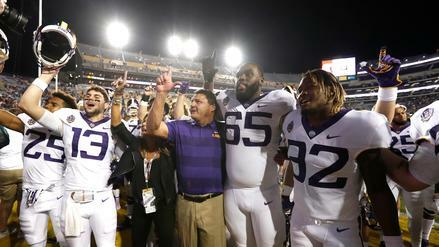 Which other matchups should you be targeting during rivalry week? 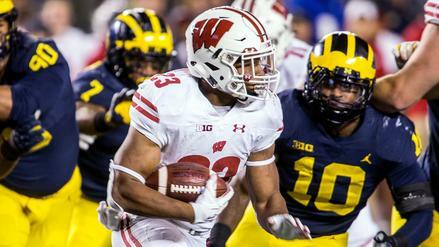 Michigan and Ohio State collide for what should be amongst the biggest games of the season. Where should bettors look for value? 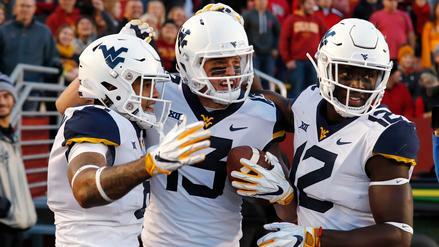 David Sills V and the West Virginia offense are in a great spot to put up big numbers this week. 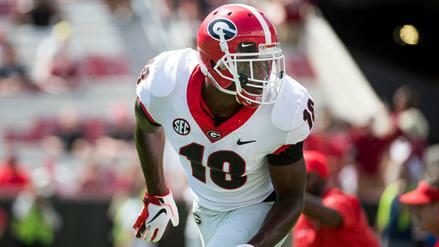 Who joins them as prime targets for college football DFS? 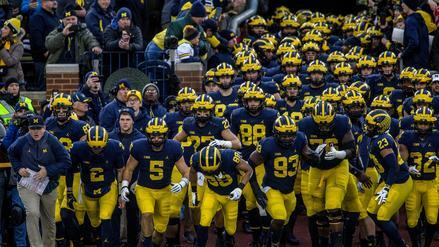 Michigan and Ohio State have crucial matchups this week before their showdown in Columbus. 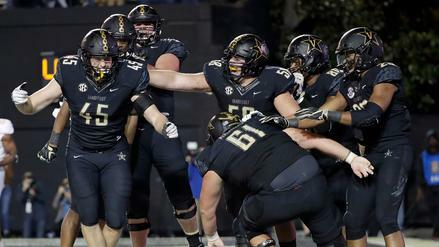 Should bettors target either team to cover the spread? 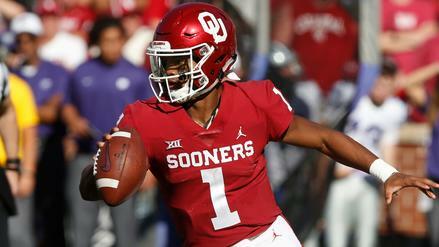 Kyler Murray and the Oklahoma offense are in a good spot as they face Oklahoma State in Bedlam. Which other players should you be building your lineups around in Week 11? 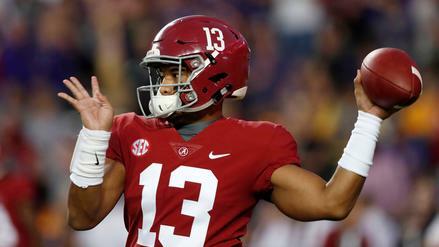 Should bettors ride Alabama against Mississippi State after their dominant performance in Death Valley last weekend? 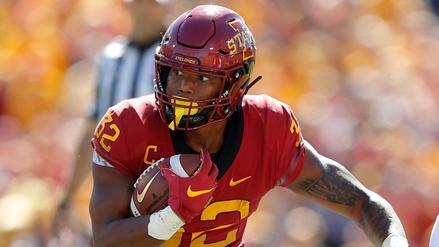 David Montgomery is in a smash spot as Iowa State takes on a poor Kansas defense in Week 10. Which other players should you be targeting this Saturday? 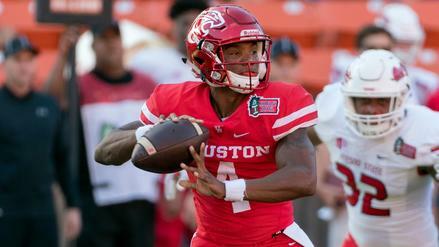 Week 10 has matchups scheduled with huge playoff implications - which games should bettors capitalize on? D'Eriq King costs a pretty penny, but he could prove his worth in a game with the highest over/under on Saturday's main slate. Who else should you be targeting in your lineups? 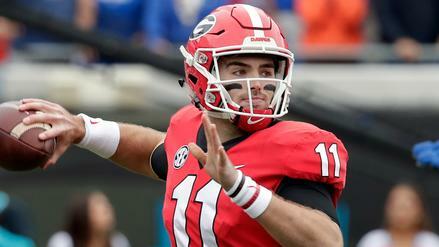 What is the best betting angle for this week's pivotal SEC East matchup between the Georgia Bulldogs and Florida Gators? 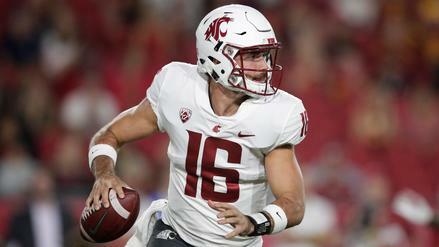 Gardner Minshew's passing volume is too much to ignore, even as Washington State hosts a respectable Oregon defense. Who else should be in your Saturday night lineups? 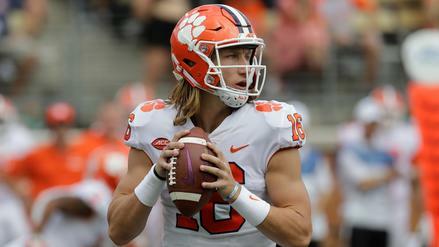 What is the best bet for the undefeated matchup between ACC foes Clemson and NC State? Jonathan Taylor leads the FBS in rushing attempts and draws a sweet matchup at home against Illinois. Who else should you consider for your main slate lineup? Notre Dame starting redshirt sophomore quarterback Malik Zaire will miss the remainder of the season with a fractured right ankle. Zaire's ankle bent awkwardly at the end of a scramble, and he needed help getting off the field after attempting to walk on it. Zaire won the starting gig over Everett Golson during the offseason, leading Golson to transfer. Redshirt freshman Deshone Kizer entered the game against Virginia and helped Notre Dame earn the victory, tossing a last-minute touchdown. The Irish have now lost their starting quarterback and starting running back (Tarean Folston) to season-ending injuries in consecutive weeks. Braxton Miller to switch to H-back role for Ohio State? Ohio State's Braxton Miller is planning on switching from quarterback to an H-back role for the 2015 season. He will also return punts. Miller is coming off of a shoulder surgery that kept him out of the entire 2014 season, and he's still not fully healthy. Head coach Urban Meyer said the switch is not official, but given that the team also has J.T. Barrett and Cardale Jones on the roster, the possibility of a switch has some substance. Last season, the Buckeyes finished fifth in the nation in our nERD metric, which indicates by how many points they'd be expected to defeat an average opponent on a neutral field. 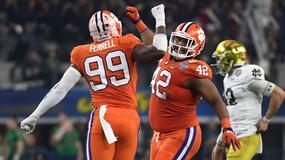 Of course, they won the first ever College Football Playoff National Championship, as well. On Tuesday, former Penn State football head coach, Joe Paterno, was elected to the Pennsylvania Sports Hall of Fame. Per ESPN, "Inductees must have been born in Pennsylvania or lived in or played and coached in the state for a majority of their careers." Jay Paterno, his son, is expected to accept on his behalf in an October ceremony. Ohio State quarterback Cardale Jones believes he made the right decision in staying at school rather than entering the NFL Draft in May. The University of Pittsburgh's Tyler Boyd, according to USA Today, is "facing a DUI charge and several traffic violations stemming from a traffic stop last week." This isn't good news for both Pitt and Boyd. The wide receiver finished with 1,261 yards and 8 scores last year, and has high hopes entering his Junior year.